NASA’s Curiosity rover takes a peek at a peak — the central peak of Gale Crater, that is! — as well as three of its Morse-code etched wheels in this picture, made from two images acquired with its Mars Hand Lens Imager (MAHLI) instrument on September 9. Curiosity’s wheels are 50 centimeters (20 inches) in diameter, making them larger than the wheels of a car. Each wheel has its own motor, giving the rover independent six-wheel drive. The rover can swerve and turn in place a full 360 degrees. The suspension system is based on the “rocker-bogie” system, which was used on the Spirit and Opportunity rovers and the earlier Pathfinder missions. 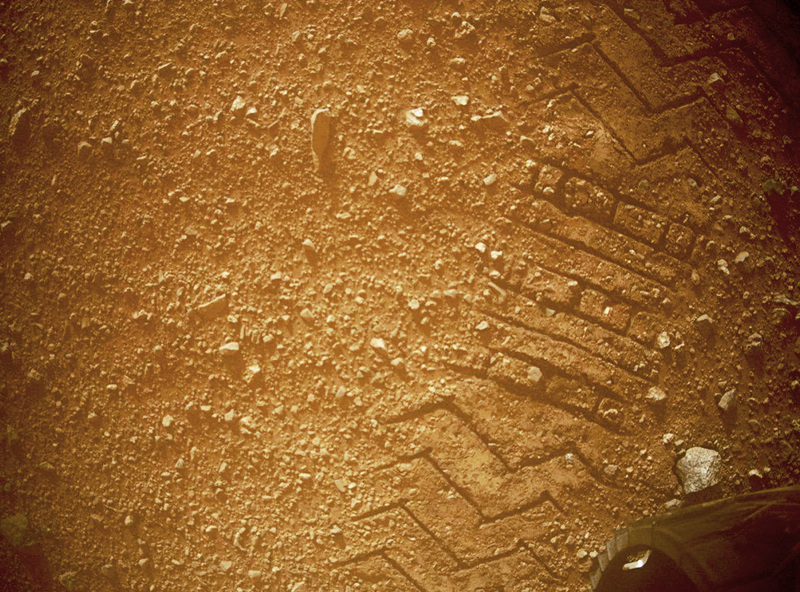 This system allows the rover can roll over large rocks and dips without tipping over. The rover can also climb steep hills, up to 45 degrees. 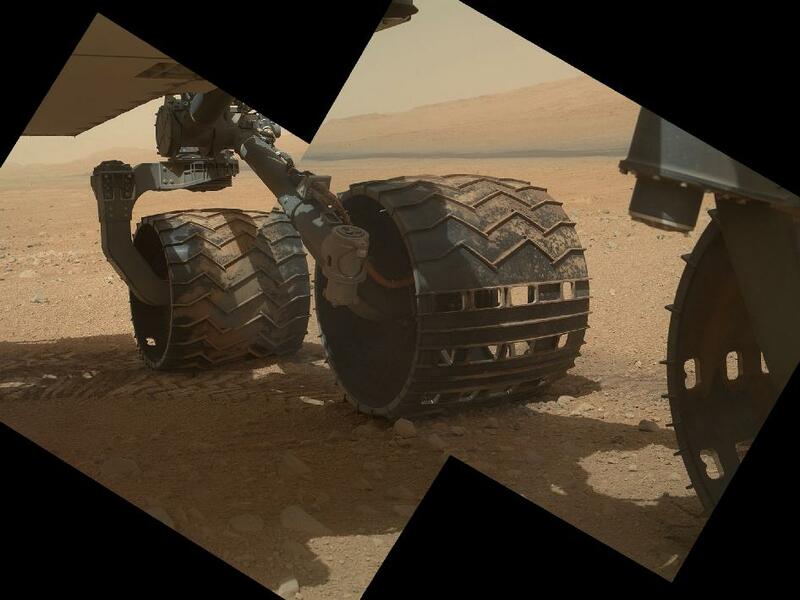 Curiosity’s wheels have “cleats,” similar to those soccer players have on their shoes, which provide grip and prevent the rover from slipping while going over rocks or climbing up hills of soft sand. Here’s to lots of roving and exploring ahead! Previous Post Once you realize what this Cassini image is showing, you’ll love it. Isn’t it amazing what they can do on a Hollywood back lot? – just kidding.